Facebook just acquired Two Big Ears, a UK-based virtual reality audio startup, for its immersive audio technology. The company's mission is to assist developers replicate how sound works in a three-dimensional space using a combination of speaker and sound processing technologies. Two Big Ears want to "make VR audio succeed across all devices and platforms," which is great news for developers who don't want to be locked into developing only for Facebook and Oculus, which is owned by the social network. Also great news for developers is that Facebook is making the VR development tools free to download and use. Developers previously using Two Big Ears's 3Dception for Games will have to jump to the new combined platform, as it's no longer a separate product. The team is working closely with Oculus to ensure its unified platform will work for all types of VR development. Don't fret, existing Pro customers, as you'll continue receiving support for the next 12 months. Interestingly, the audio platform will adopt Facebook's name and not Oculus'. The tool was rebranded to "Facebook 360 Spatial Workstation," which shows Facebook's commitment to its 360-degree videos for VR. 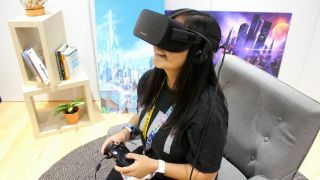 With this acquisition, Facebook will make it easier for developers to create content for its various VR platforms, namely the Samsung Gear VR and Oculus Rift.